Series of outdoor concerts held in Somerset House, London. The 2019 shows feature Cut Copy, Doves, Gossip, Jacob Banks, Nao, Parcels, Rosalía, Sons of Kemet, Soulection, The Good, The Bad & The Queen, The Internet and more. 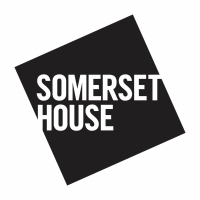 Fri 12th Jul 2019 The Summer Series, NAOSomerset House (Westminster)More Info..
Tue 16th Jul 2019 The Summer Series, DovesSomerset House (Westminster)More Info..